TME’s offer includes self-adhesive temperature indicators from SPIRIG, a Swiss manufacturer. One of those indicators is the CC-143/166. It's a single-use indicator that measures the temperature of the surface it is attached to. Exceeding a set temperature is indicated by permanent blackening of white temperature sensitive coating. This process is irreversible. 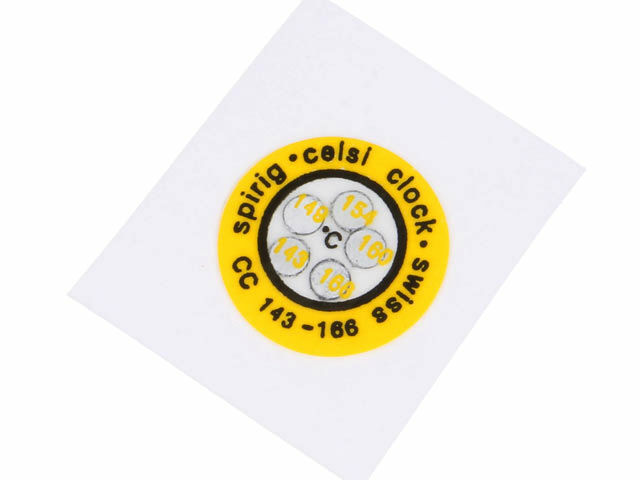 The CC-143/166 indicator is part of the CelsiClock series. It's resistant to oils and water and has five temperature level markers. Its main advantages are compact size and ease of use.